Clients/Creditors opening PDF's on their Iphone will be unable to do so and will get this message. 1. 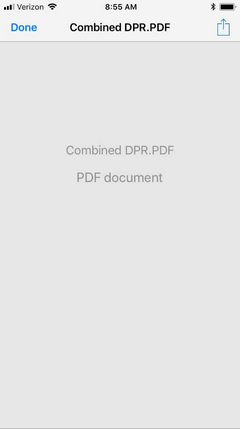 Open the email with the PDF attachment, and tap the attachment. 2. Tap the Share icon . 3. Tap "Copy to iBooks" to open the attachment in iBooks.